I suppose that in some ways this is one of the most important articles I have ever written. It is the result of realizing something that is so pervasive in the church, so much the air which we breathe in typical Christianity today, that we cannot see the log right in our eye. Let me explain. I recently watched the memorial service at St. Andrews Chapel for R.C. Sproul. I wanted to watch because Sproul taught me so much, even though I never met him personally. I absorbed his teaching tapes some 30 years ago and still have them all in our church library. I have steered many people to them over the years. But I did not always agree with him. 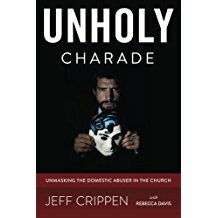 He taught, you might recall, that domestic abuse was not a biblical grounds for divorce. He in fact changed that position at least by 2012, but never publicly announced that correction. This morning, I listened to the Ligonier broadcast of Renewing Your Mind, entitled Spiritual Father: Remembering R.C. It was very interesting and I appreciated the testimonies given by two of his long time friends who were led to Christ by his ministry. Conservative, evangelical churches and organizations, pastors and elders and church members, often (even typically) become so male oriented that they almost forget about women. Women become secondary, even to be seen and not heard. The men lead. The men hold office. The men are the theologians. The men serve the Lord’s supper. The men preach and teach. The men are even told that they are the priests of their homes. The men, the men, the men. I am not here proposing that women are to be pastors and elders in the church. That is not a subject I even want to address here. But what I am stating is that men in the church so typically develop a mindset in that climate of trivializing their sisters in Christ. You will notice from just the Scriptures quoted above that women were very, very active and prominent in the ministries of Jesus, of Paul, and of the New Testament church. In fact, Scripture records for us that sometimes when the men bailed, the women stayed. The primary message from Isaiah 6 (the basis of R.C.’s great book The Holiness of God) was delivered by Sinclair Ferguson, pastor and theologian. And then you have the Renewing Your Mind program for today (Dec 22, 2017) which focused on R.C. as a personal evangelist. Two of his long time friends told how they were led to Christ through his ministry. Both of them were men. Furthermore, as they related their stories, they described how they met R.C. at the golf course and especially at the locker room where R.C. spent time almost daily writing and studying after a round of golf. They told about all the other men that R.C. influenced in that place over the years. And that is why this all struck me today. I know that the funeral service and the RYM program cannot and did not present a comprehensive view of the entire ministry of R.C. But nevertheless, what struck me is that in such a world that R.C. ministered in, in such a church and in his professional contacts, and at Ligonier, at the seminaries and Bible College, the climate appears to me to have been one of male….what? Male leadership. Male emphasis. Male ministry. Men of God. Brothers. And where does such an atmosphere leave the women? Oh yes, I have no doubt there are some kinds of women’s ministries at St. Andrews. We know that men and women both attended the Ligonier conferences. And yet as we pointed out in our article last week, when it came down to dealing with men who are hypocrites, men who abuse women, men who are church members but who cruelly oppress their wives, R.C. taught that a woman cannot divorce an abusive husband. In addition, even after he changed that view (or at least “broadened” his opinion on it as he wrote to me), R.C. never did make it a priority to publicly correct his error. Why? Why did he not feel the burden of those many victims in Christian churches, including his own? Why did he seemingly just blow off our pleas to announce his changed position? Why? Well, think about it. If you live and move and have your being in a structure that is so male dominated, a place where elder meetings and presbytery meetings and General Assembly board meetings consist pretty much solely of men, just how likely is it that such men are inevitably going to end up rather deaf to the needs and pleas and talents of their sisters in the Lord? How do such men view a woman, for instance, who comes into their office asking for help? Compare this with Jesus and Paul. Look at their writings and the accounts of their dealings in the New Testament in ministry. What do you see? You see men called as Apostles, but you see women mixing it up right in there with them. You see a church where women’s names in the registries are as prominent as those of the men. You see stories of women clinging to Jesus when men abandoned Him. You see Jesus coming to a screeching stop in order to heal a poor woman who dared touch His robe. You see Jesus nailing the male hypocrite clergy of the day with a pronouncement of divine woes! And I submit to you that all of this male-emphasis not only had an effect on R.C. Sproul, but it has had a significant effect upon all of us in the church today as well. And that effect has not been a good one.